CURRENTLY, there is fresh discourse on whether Malaysia should be categorised as a middle power, based on its “initiatives, activism and influence” in seeking a fairer international order, ensuring global peace, as well as protecting regional security, stability and prosperity. Because of its size, population, wealth and gross domestic product, Malaysia is not categorised as one. But due to its forward-looking foreign policy in mitigating economic-based and geopolitical-centric issues affecting smaller states, regionally and globally, through multilateralism, it does qualify. Malaysia has a good track record on the above since its independence, most prominently during Tun Dr Mahathir Mohamad’s “administration 1.0” (1981-2003). Under the first prime minister, the late Tunku Abdul Rahman Putra Al-Haj (1957-1970), Malaysia played a crucial role in mitigating international and regional communist threats in Southeast Asia in the Cold War and Vietnam War. He stopped democratic British territories in Southeast Asia — Sabah, Sarawak and Singapore — from falling to the communist bloc, through the formation of Malaysia in 1963. He also saved Malaysia from becoming a conflict area involving democratic and communist powers, during the Indonesia Confrontation, by adopting multi-dimensional diplomatic approaches. His administration also voiced out opposition to apartheid in South Africa and communist intrusion into democratic regions like in the case of some sovereign states on the China border. Under Tun Abdul Razak Hussein (1970-1976), Malaysia actively propagated the neutrality of Southeast Asia from big power interference with the introduction of the Zone of Peace, Freedom and Neutrality (ZOPFAN). Razak nurtured ZOPFAN by obtaining support from various powers, including Japan, France, China, as well as the Non-Aligned Movement and Afro-Asian nations. ZOPFAN is now one of the guiding principles to Southeast Asian peace and prosperity, and also one of the concepts of regional cooperation cherished by Asean. During Tun Hussein Onn’s tenure (1976-1981), Malaysia sustained ZOPFAN by protecting democratic Southeast Asian nations from threats of the escalating Cambodian conflict in the post-Vietnam War era. It led successful diplomatic engagements with Beijing and Moscow to stop the escalation of the Cambodian conflict, and took centre stage in addressing the same issue at the United Nations. Between 1981 and 2003, Dr Mahathir took different foreign policy approaches to continue the above endeavour. This was due to the shifting security outlook when the international system moved from multipolar to unipolar since the mid-80s. 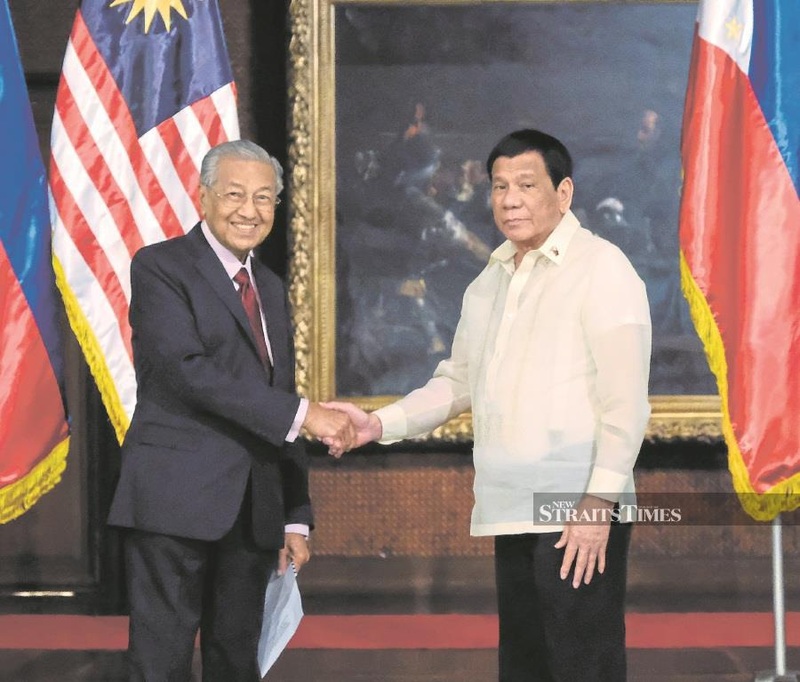 Nearing the unipolar era, Dr Mahathir had started alerting nations in Asean and the South-South regions to the probable use of economic and non-military factors as tools to undermine their future survival. Hence Malaysia readjusted its foreign policy focus by giving priority to advanced economies and emerging big powers in East Asia, consolidating the Asean resilience and establishing closer cooperation with South-South nations, NAM and the OIC. This reorientation, however, maintained Malaysia’s trade ties with traditional friends in Europe and the United States. This was achieved through hedging. Dr Mahathir’s prediction of economy and trade being used as “weapons” by some big powers in the post-Cold War era came true, when the United States introduced the new world order and globalisation. Hence Dr Mahathir made use of domestic, regional and international forums to champion small nations in the era of globalisation. He also criticised the use of human rights and environmental policies by some big powers to jeopardise the economic well-being of small and poor nations. After the 1997 Asian Financial Crisis, Malaysia initiated measures to protect the economic security of Asean and other smaller countries from manipulation by several western powers. Although faced with numerous constraints, the measures initiated by Dr Mahathir ultimately materialised in the form of certain organisations such as the Asean Regional Forum. Malaysia’s new financial architecture to deter currency manipulation, formulated during the Asian Financial Crisis, was ultimately adopted and used by other countries, including those in the G22, G7, G15, IMF, Apec, the Commonwealth and the US. The above are evidence-based narratives of Malaysia’s initiatives, activism, achievements, leadership and influence in the international arena, which were continued by Tun Abdullah Ahmad Badawi (2003-2009) and later Datuk Seri Najib Razak (2009-2018). Malaysia had also contributed to peacekeeping and confidence-building in Congo, Bosnia, Somalia, Afghanistan and other states in West Asia and Southeast Asia. All these indeed show that Malaysia has a strategic culture and prudent leadership which contribute to the well-being of mankind the world over.